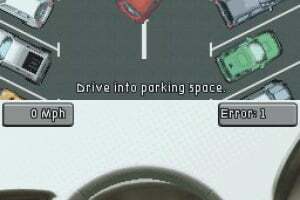 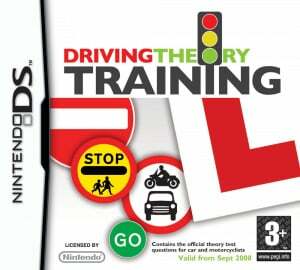 Sorry, no review of Driving Theory Training yet. 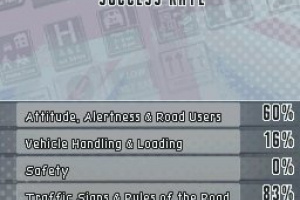 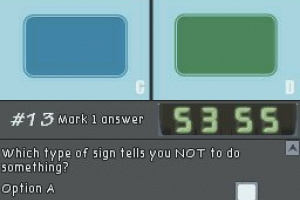 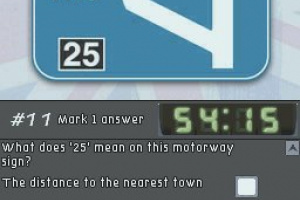 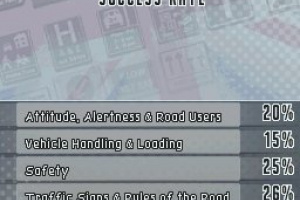 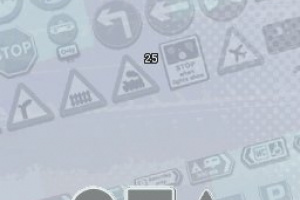 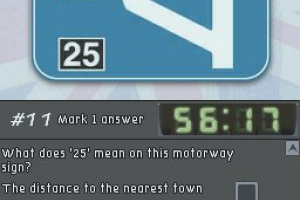 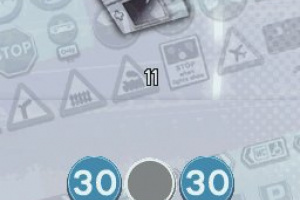 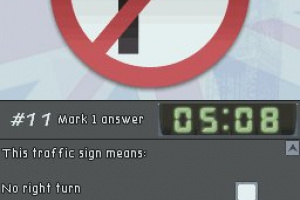 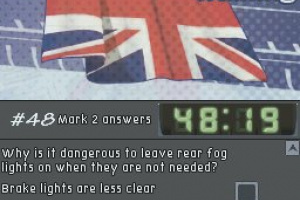 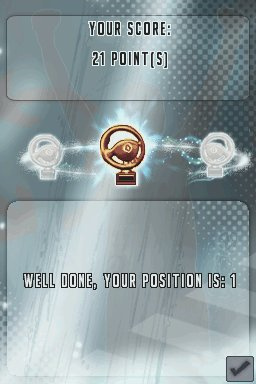 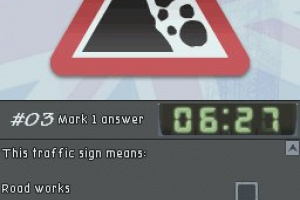 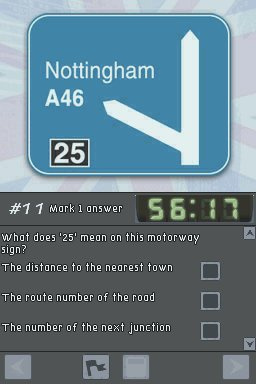 Driving Theory Training, giving players the unique opportunity to revise, practice and take virtual tests on driving theory and Highway Code whilst on the move. 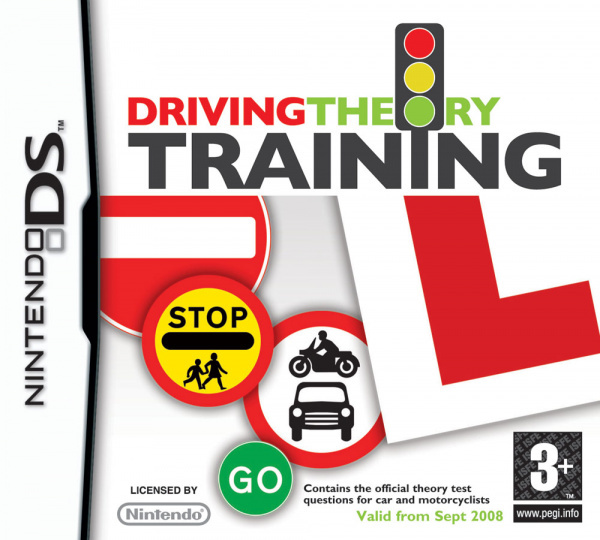 This will be the first time that the Nintendo DS has been used as a new media device to help learners study and simulate the actual test. 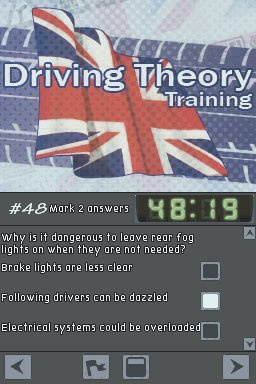 Driving Theory Training is aimed at provisional license holders who need that little extra help to be successful when the day of the real test comes around and offers valuable help to anyone who’s learning to drive. 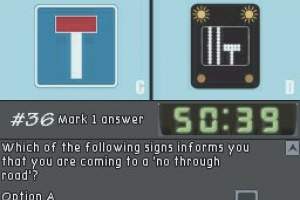 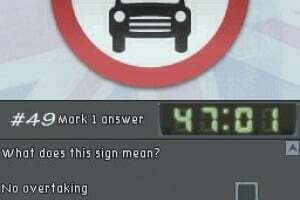 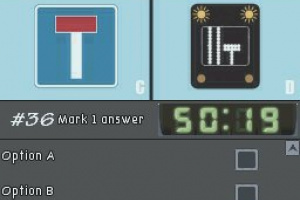 Available in Summer 08, Driving Theory Training will feature the full driving theory questions and answers officially licensed by the DSA (Driving Standards Agency). 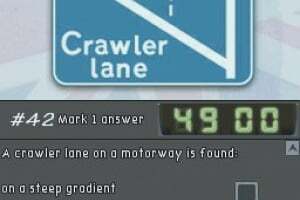 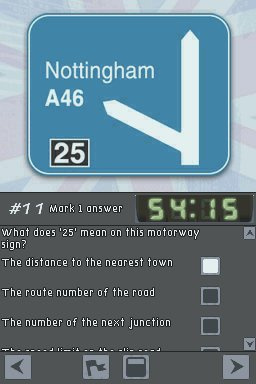 In addition to a full theory test based on the real life exam, learners can benefit from revision, graphs, mini games and questions and answers relating to vehicles. 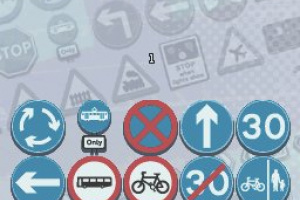 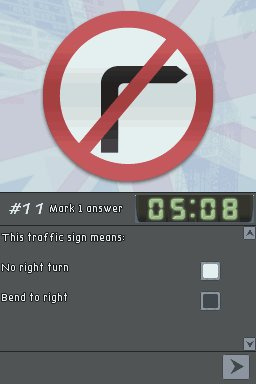 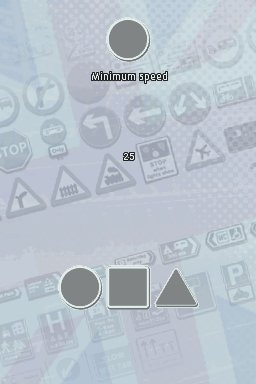 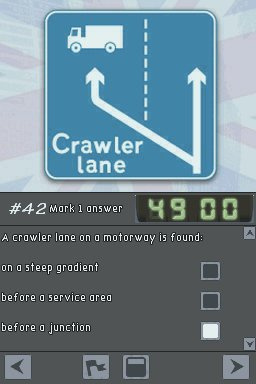 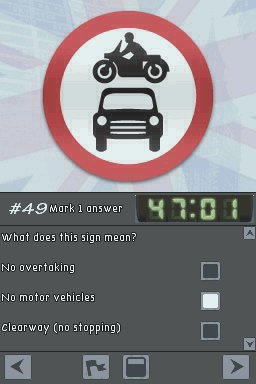 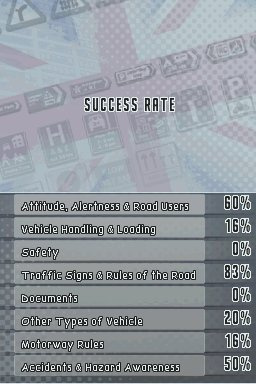 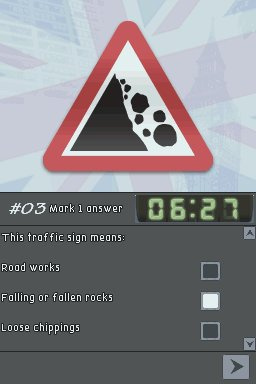 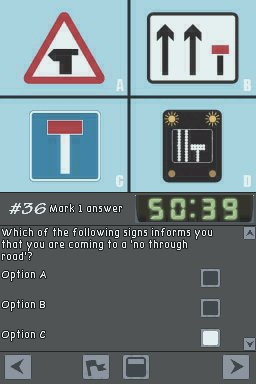 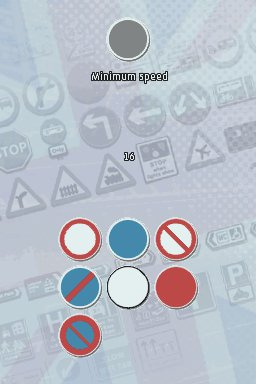 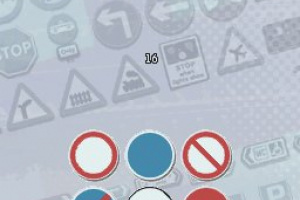 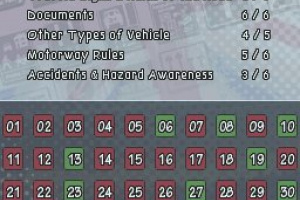 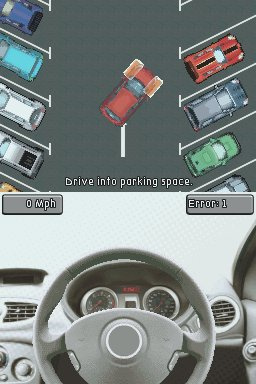 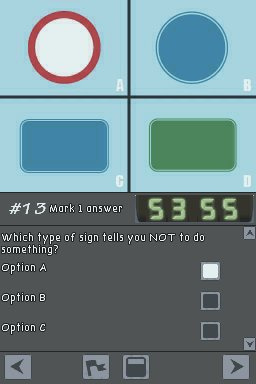 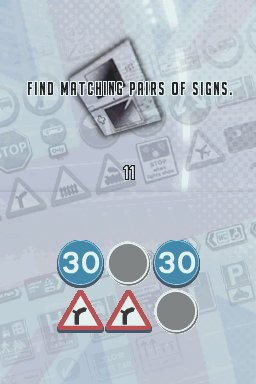 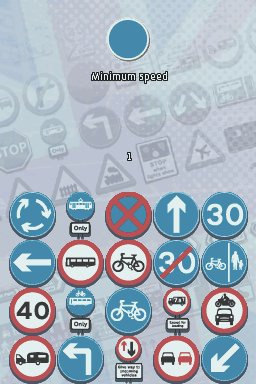 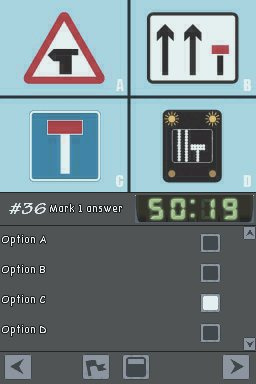 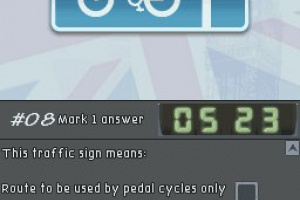 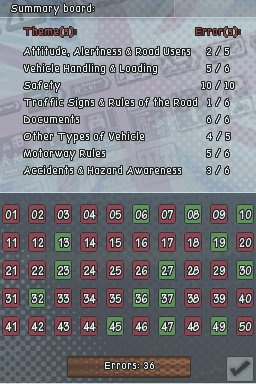 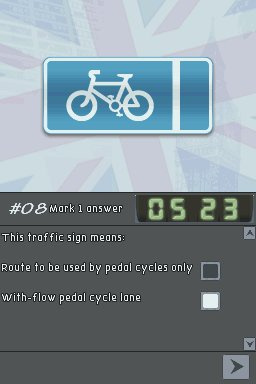 The application also features the full Highway-code, ways to learn and revise as well as fun games to entertain whilst stimulating the mind.